There a few things we love more than a shiny new lipstick but there are also few things we love less than having to transfer between savings accounts to pay-pass our morning coffee. 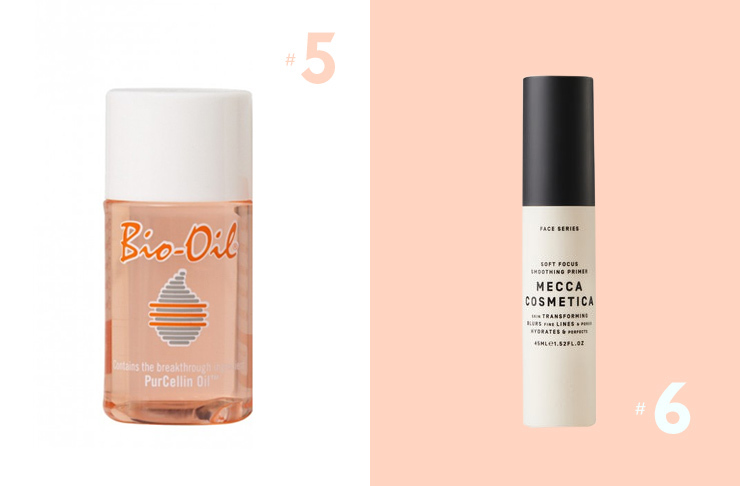 Which is exactly why we’ve searched high and low and checked the recommended retail price of some of our favourite beauty products to bring you our edit of the (very) best beauty buys for when you’re on a budget. 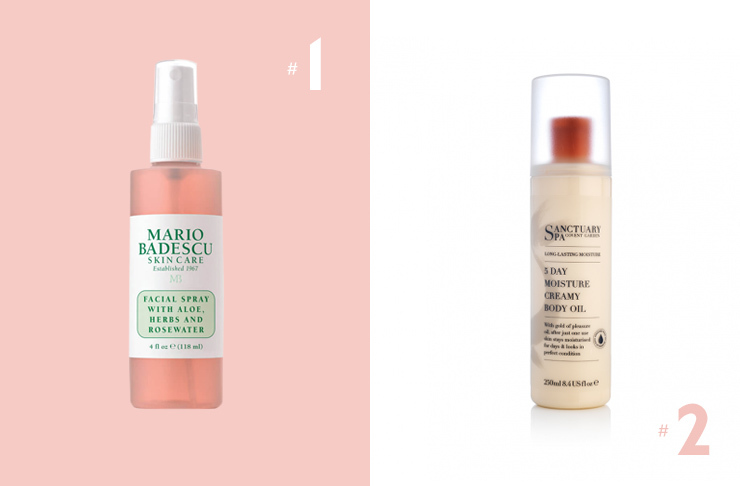 From beauty editors to Eva Mendes and even Kylie Jenner, everyone who’s anyone swears by this facial spray. It sets makeup, refreshes skin and prevents skin dehydration. Perfect for long-haul flights or to keep in your desk drawer. Oh, and it’ll only set you back a grand total of $9. You are welcome, friends! Say sayonara to flaky skin and dry limbs. This unique body oil has a creamy texture and is packed with the likes of mango seed oil and apricot oil to keep your skin hydrated for up to 5 DAYS, even if you shower! Coffee, coconut and smooth skin = all of our favourite things in one tube. Polish and soften skin with this deliciously scented body scrub. 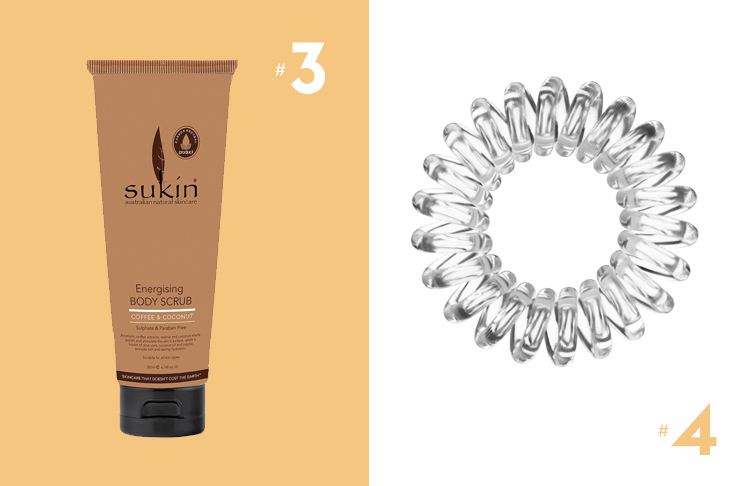 From working out, to keeping you hair off your face at work, hair elastics are a must-have. Ruining freshly styled locks on the other hand, are an absolute must-not. Have the best of both worlds with Invisibobble hair rings; cute AF name and they’ll keep your tresses secure without ANY kinks. It’s pretty much hair wizardry and we’re fine with that. Fade pesky scars, even out skin tone or just nourish and protect dry skin with this all-in-one miracle oil. A flawless red-carpet-ready complexion is near impossible to achieve without a primer. Don’t believe us? Try Mecca Cosmetica’s Soft Focus Primer before applying your foundation and then tell us how you ever lived without it. They make a handy travel-sized version that will only cost you $17 so you can give it a little test run before you commit to the full size. The ultimate multi-tasker. Freshen up a tired, dull face and fake 8 hours beauty sleep by blending this hydrating cheek stain into the apples of your cheeks. 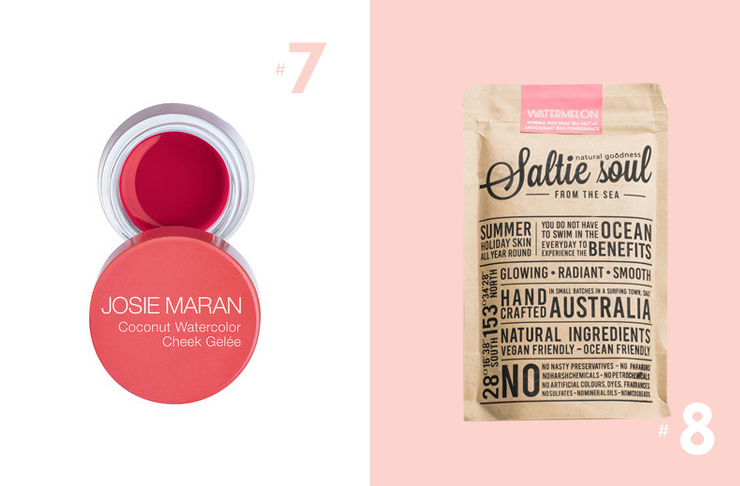 Finish by swiping it across your lips for a rosy glow. It’s enriched with coconut water, argan oil and vitamin E and is perfect for achieving that dewy, no-makeup look. Purify and nourish your skin and say goodbye to dead skin cells for good. Complete with antioxidant-rich super fruits, watermelon and pomegranate, this body scrub is like summer on demand. So, there you have it, budget-conscious beauty lovers; a must-have edit of products no matter your budget. Pick your favourite up today in place of your morning macchiato, or stock up and replenish your entire makeup bag with change left over. Want more beauty tips? Check this out.